I’ve been using HostGator for many years to host my blog, I’ve been wanting to migrate to DigitalOcean or other cloud hosting provider, but I haven’t found any motivation to do so previously, and I’ve found it last year (I’m cheap, I waited till it expiring so that I can move away), the main and only motivator is that HostGator keeping my password in plain text in support case. Last year, I did upgrade my package so that I can support multiple domain, I’ve purchased extra domain so that I can host demo site for my clients, but I never really use it that much, so I raised a ticket to HostGator to request for downgrade my package, and before my ticket go through, I’ll need to key in my login and password for verification purpose. UI and UX design wasn’t something that I’m good or decent at, and most of the time when developing some features, UX often come to my mind last, and usually ended up with following some most basic form of structuring the elements on the web page without giving much thought. Recently I saw an amazing idea for Lego set posted in Lego Ideas page, so I decided to go and support the idea, so that it get make by Lego and I can get one for myself. So by default, when I saw something nice and I wanted to support it, I feel excited, and I immediately click the “Support” button. To deploy Laravel on shared hosting is not too complicated compared to self hosted environment. This example show how to configure Laravel on shared hosting, on a subdomain. I’m using HostGator here, but it should be just same for other hosting solution. Recently I lost my local WordPress development environment, so I need to get the copy from my server, I still have WordPress source files, so I just need to FTP back my themes folder and export the whole database in SQL file. After I get the SQL file, I open the SQL file in text editor and replace all the server domain to my local domain, e.g. changing http://www.stephensaw.me to stephensaw.local. Then run the SQL on my local database to restore it, it works great, can access to stephensaw.local without problem, can access to admin, the site URL in admin also correct. 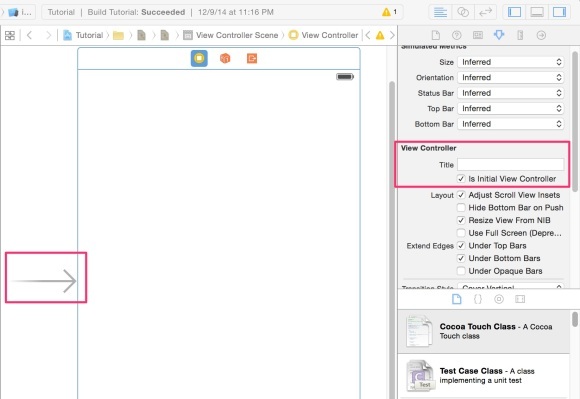 Click the view controller on storyboard. On the Attributes Inspector (on the right pane), under View Controller section, check the Is Initial View Controller box right under the Title box. Note to myself: Next time look properly. Google Chrome DevTools is getting better and better everyday, ridiculously fast performance with their Blink and V8, and they just got better with their DevTools. What I just found out recently was, editing source code right on the Chrome DevTools using source mapping. To verify is source maps is turn on, go to the setting gear icon on DevTools, and then verify the Source Maps option are checked.